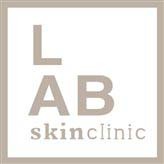 Microdermabrasion at LAB Skin Clinic, Neutral Bay, uses the most advanced precision laser-cut microdermabrasion technology for face and body to improve blood circulation and stimulate the production of collagen and elastin (see short video above). We choose between twelve different grades of treatment to achieve the best possible result for your skin. This is the ultimate in microdermabrasion treatments! Your skin will look and feel clean, smooth, fresh, and more radiant from the very first treatment. A microdermabrasion treatment at LAB Skin Clinic is a safe, minimally invasive, highly effective and non-chemical based cosmetic facial exfoliating procedure, which helps to repair the effects of sun-induced pigmentation, poor skin tone and texture, congestion, acne scarring, fine lines, enlarged pores, cellulite and stretch marks. 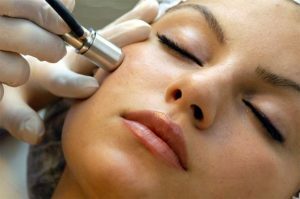 A microdermabrasion treatment is personalised, according to your skin type, and uses a variety of graded fine to more abrasive micro-diamond tips to remove the outermost layer of dead skin cells and clear the pores of debris to reveal a brighter and more even skin tone, and newer and fresher-looking skin. Microdermabrasion, in conjunction with Omnilux LED therapy, assists in the production of a new underlying layer of skin cells that has higher levels of collagen and elastin, which improve skin firmness and clarity. Microdermabrasion is much gentler than dermabrasion, which is a more intensive procedure used to treat deeper wrinkles, extreme sun damage, and scars. For optimal results, a series of six treatments, approximately two weeks apart, are usually recommended followed by monthly maintenance, if required. Microdermabrasion is a superficial skin treatment only and a more aggressive therapy such as a chemical peel, micro-needling, laser resurfacing, IPL, radio frequency or ultrasound will be required for sagging, deep wrinkles, skin folds and creases, and post-acne “pock-mark” and “ice-pick” scars. More than one treatment will be required to reduce fine lines and unwanted pigment but microdermabrasion does provide an immediately refreshed appearance. Over time and with regular treatments, pigmentation fades and surface irregularities, such as fine lines and acne scars, begin to soften. Treatment of the whole face takes about 45 minutes with no real discomfort and little downtime. Normally any slight redness after treatment fades within hours. For a complimentary consultation or more information call: 02 9909 3602.